Remember the days of waiting several exasperating hours — or even days — for your photos to develop at your local photo center? Or the frustration that ensued after attempting to print your own digital photos at home, burning through your coveted supply of printer ink? Thanks to the instax Share printer, those days are a thing of the past. Now, with your instax Share printer, you can instantly print your favorite digital photos whenever and wherever you’d like. No restrictive photo lab hours or messy ink cartridges required. The first thing you’ll want to do after opening your new instax Share printer is download the accompanying Smartphone app. This app will be your key to printing from your phone, editing and cropping your masterpieces and adding fun filters. The free app allows you to pull photos saved to your device as well as photos on your social media accounts. Have you ever snapped the perfect instant photo, and immediately wished you had enough copies to share with your fiends? In this case, the reprint feature of the instax Share printer may be your new best mate. You can quickly print multiple copies of the same photos—so no more fighting over who gets to take that favourite shot home. When it’s not in use, your Share printer will automatically shut off to save battery. However, be sure to check the indicator light on the printer to ensure you have enough battery for your needs. It’s also a good idea to keep a couple of CR2 Lithium batteries or an AC Power adapter handy in case you run out of juice. Like the battery indicator, your film indicator will let you know how many pieces of film remain in your printer. Heading to a party or leaving on holiday? You never know when the perfect photo opportunity will present itself so, like any good photographer, keep spare film on hand. One thing you’ve probably noticed about instant photos is their unique exposure. This gives your photos a vintage-esque characteristic. However, if you prefer a cleaner more true-to-life exposure, you can edit the contrast using the instax Share smartphone app. Sometimes increasing the contrast can compensate for any overexposure. When printing your photos, remember that the shape of the film may differ from the shape of the photo. For example, Instagram photos are square. To ensure your photo prints correctly within the frame of your film, use the editing tools to crop and resize. Always be sure to preview your photos using the preview tool before you print the film. 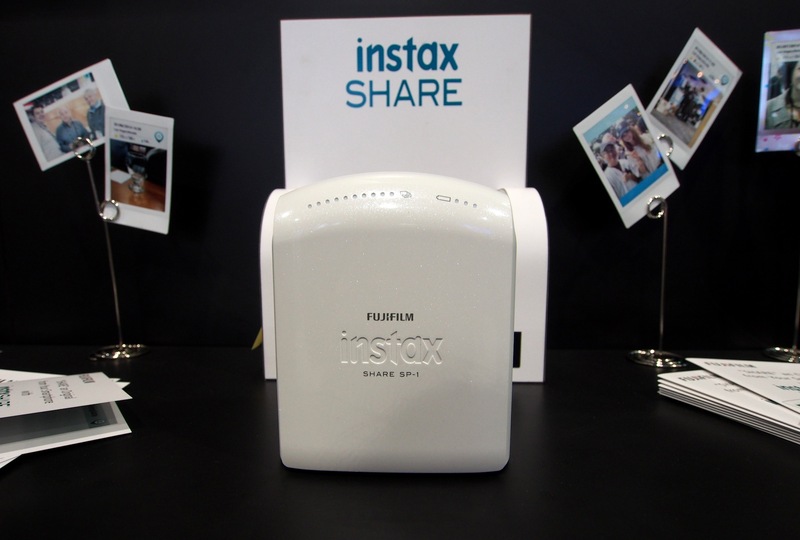 As with any photography tool, it may take a few shots before you master your instax Share printer. So, if your first photo wasn’t quite up to par, don’t fret! Try adjusting the colours, changing the filters, practicing with contrast and, most importantly, use the preview tool. With a little practice, it won’t be long before you’ve become a pro, and all your friends will be asking you for tips. Ready to take your photo printing to the next level? Check out these film frame designs available in regular and wide format.